One of the worst things about blogging about Hello Kitty Hell is that as soon as I put something up, I start receiving emails with photos attached for other things that my wife will want associated with whatever was just posted. I’ve already explained that my wife doesn’t bowl, so why would she need Hello Kitty bowling shoes in addition to the useless Hello Kitty bowling balls? The Hello Kitty fanatic in our home is the 16 year old but I also look at Hello Kitty things and think WOW but the difference is would I buy them ? and the answer is NOT A CHANCE! We live in Wales and you really have to search to buy anything Hello Kitty but thanks(!) to the internet her ability to indulge her love of all things Hello Kitty seems to be limitless. Her favourite is the Hello Kitty bath which I think is just a little scary. This website has recently given me many laughs. All I can say is keep up the good work, and please make sure that there are LOTS of photos of “highly protected” HK objects. Recently more and more HK crap has arrived in Australia. For years, all you would have was the occasional piece of branded stationary. It’s beginning to freak me out. I have to admit, I don’t hate HK. Some of the stuff, I quite like. Particularly if it’s HKDevil. But I do think that the level of obsession displayed throughout this site is downright disturbing. For god’s sakes, its a clever piece of marketing, not a bloody philosophy. Anyway, I hope that one day your wife will see reason, or at least learn the joys of accepting contrary opinions to her own, and allowing them to prosper. All the best. LOL. She just doesn’t stop. Has your wife bought these yet? Now that is seriously scary. Unless, of course, it also has a picture or hello kitty on the soles so you’ll be able to step on her face every time you walk. Damn, these would look sweet with some dark wash flared jeans! 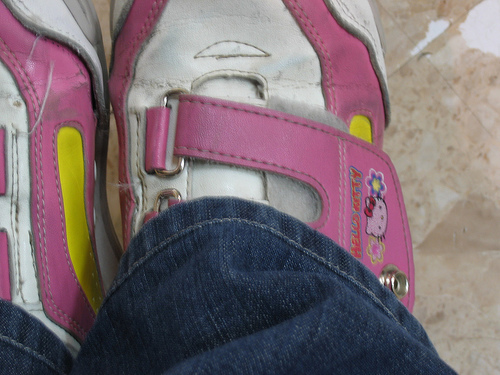 Those are the ugliest shoes I’ve ever seen in my whole life… Even the Mighty HK cannot save them now. I absolutely love the shoes. I’m sorry dude but I totally relate with your wife. Can I come to your house.lol.jk but seriously where can I find those shoes cause I am in love with them!! Your site is absolutely hilarious! Although I’m in love with hello kitty, I totally see all the humor on your site and love love love the hunting hello kitty shirt! HAHAHAHA!! Thanks. Why would someone wear these. Even if it had hellokitty on it it does not mean that it’s not childish. definetily not me. Okay? Do we got that clear? 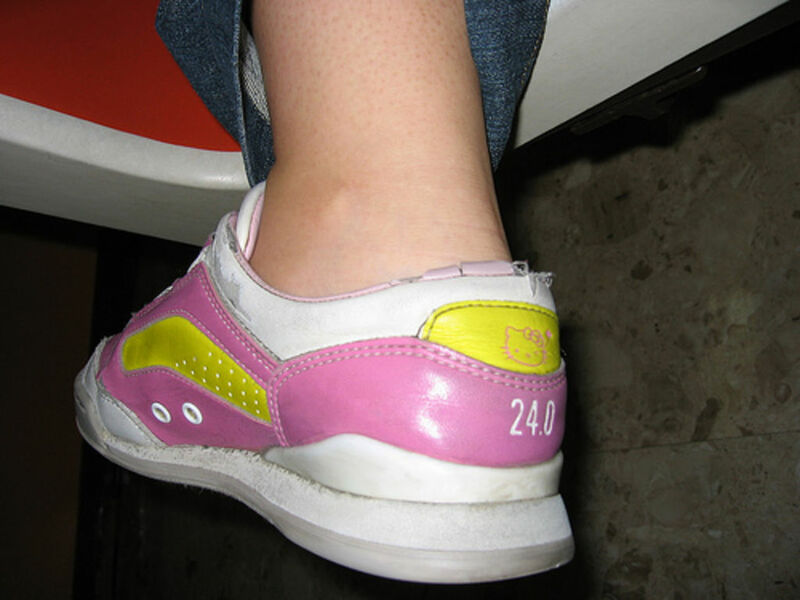 kids love these shoes .Where can i get this shoes please tell me!! Thank You!! i would like to go where can i get this from, please let me know asap! Where did she get these? I’ve been looking all over for some! !